EXCLUSIVE: A GROUP of cane growers is worried Mackay Regional Council will approve two dams they fear could ruin their drinking water and farms. Councillors will decide on a development application to extract one million tonnes of soil from a Palmyra property at a meeting tomorrow. 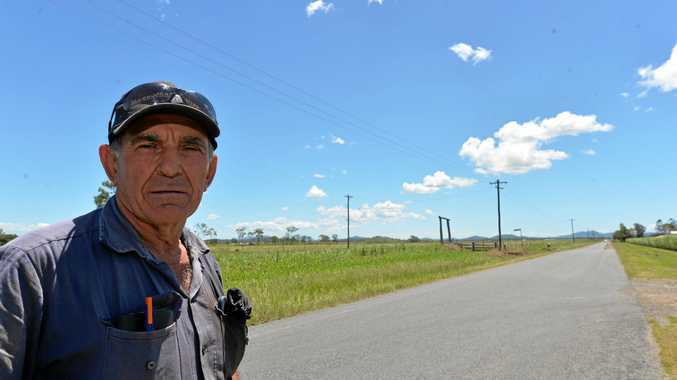 Developer Vic Vassallo is behind the project that will see the soil put to use on the Mackay Ring Road and, eventually, Walkerston Bypass. The development application reveals once the soil is removed the holes will be turned into two 250 megalitre dams on the private property, at depths of more than 4.5m below the current ground level. Council officers have recommended it be approved, with experts explaining the excavation work would not reach deep enough into the ground to hit the water table that neighbouring farmers currently use for drinking and irrigation. Further, a report commissioned by Mr Vassallo found the closest bores to the dams were 150m and 70m away and were much deeper than 4.5m. It was enough to satisfy council officers, who produced the council report. Mr Vassallo said he believed enough testing had been done and gave assurances more would be carried out when the excavation started. However, the development is not finding favour with locals, with 11 neighbours holding concerns excavations would breach the water table, contaminating it with sodium. The council report revealed a number of agricultural organisations had also raised concerns, stating the project needed "greater scrutiny, from an environmental perspective". Mr Bugeja argues nobody can guarantee their water and land won't be contaminated by the construction of the dams. "If these 11 houses lose their drinking water, who is going to foot the bill?" he asked. Mr Bugeja said he was able to manage the current sodic levels in his soil but worried the excavation of the nearby property would make matters worse. "There have not been enough tests done to prove our water won't be contaminated. The council shouldn't make a decision until there has been more testing," he said. Mr Bugeja was one of 17 people who objected. The council report also noted if the soil wasn't being removed the landowner would be able to build the dams without notifying their neighbours, and therefore councillors would not be required to vote on it.